Tools for understanding and developing organizational creativity? 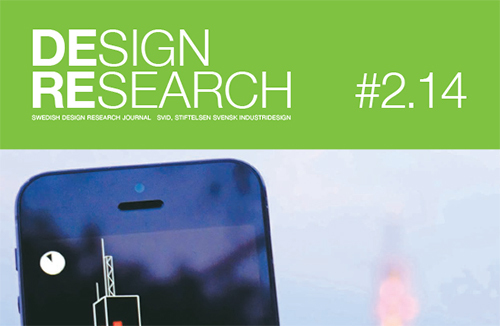 Together with Marja Soila-Wadman, I published an article in the Swedish Design Research Journal. Abstract: Organizations in both the private and public sectors need to find new, creative ways of handling challenges in the complex environments of global competition. Engaging creative professionals like designers and artists - with the aim of developing organizational creativity as a strategic tool - has attracted a lot of interest in different kinds of organizations. In our study, we followed a weekly intervention process led by an artist, within a trade union. The union wanted to bring change to its working processes, with the ultimate goal of increasing membership numbers. The study is based on qualitative methods inspired by ethnography. Creativity, design thinking and artistic intervention literature form the main theoretical framework. Between the members of the workgroup and the artist, we have noticed a lot of discontent and differences in ways of understanding business versus creative goals. We propose that knowledge of design processes, conceptualised in design thinking writings, can help to communicate what is going on during an artistic intervention process, thus narrowing the gap between different understandings. However, a certain amount of friction and conflict will be both necessary and desirable during a creative process. Abstract: In an attempt to deal with today’s complex and confusing economical demands, more and more corporations are seeking collaborations with artists. They want to use the artists’ creative mindsets and working methods to their benefit – stimulate innovative and creative capacity within the company (Guillet de Monthoux, Sjöstrand, 2003), create fiscal value and an increased competitiveness. So-called artistic interventions can come in many forms and a lot of theoretical texts have been published about these ventures. However, a gap between theory and practise exists and it remains questionable if the writings reflect the real world or are primarily theoretical concepts sometimes focused on positive outcomes alone. More case studies are needed in order to describe effects, impact and relevance of artistic interventions in industrial settings because it remains questionable if they can deliver concrete benefits for the companies – or if they even should. This investigative research project is an ambition to minimize this gap through the empirical research that is behind this paper and contributes with an actual case to this field. The paper highlights what happens if artistic interventions are laid out as temporary, independent provocations. 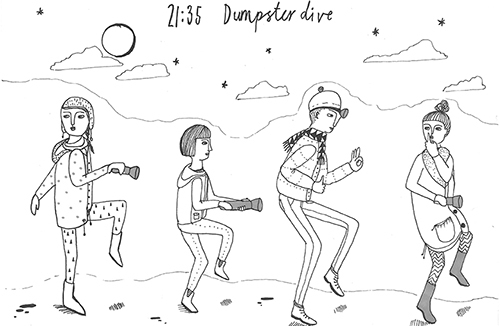 In this case, a project group of a large engineering company was confronted with ‘dumpster diving’ as a type of provocation initiated by an artist. As a main conclusion of this essay I discuss the term ‘artistic provocation’ – a variation of artistic intervention. Artistic provocations are short-term activities provoking participants by confronting them with unorthodox worlds. Experiencing these worlds with all senses conveys an understanding on different levels. This arguably leads to a more open attitude and positively influences a learning process, which seems to be indispensable regarding long-term creativity and innovation on workplaces. DESIGNING AND MANAGING THE SPACE FOR CREATIVITY. Artistic interventions for strategic development of an organization in resisting environment. I co-wrote this paper for the 2nd Cambridge Academic Design Management Conference. Abstract: Creative interventions as a strategic tool in organizations have gained an increased interest with the hope to handle the complex, chaotic and interactional environments in the global competition. In this study we explore an organization which has involved an artist to facilitate a creative change in its working routines. The study is based on qualitative methods inspired by ethnography. Aesthetic perspective on organizations, design thinking and artistic intervention literature form the main theoretical frame. In the first phase of the two-year-long intervention project we have noticed a lot of problems depending on the differing business logics and the artistic logics, the artistic and designerly methods in practice have shown a lot of similarities. 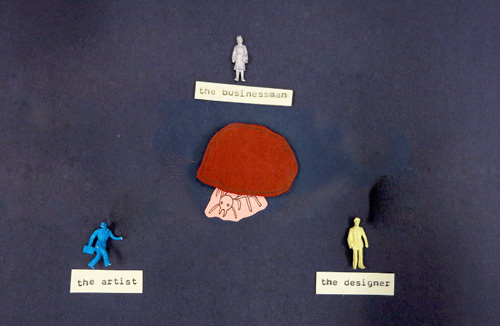 TOWARD CURATED BUSINESS DEVELOPMENT, USING ART AND DESIGN. "Going bananas versus slipping on a banana peel"
In my master thesis I investigate how artists and designer involved in strategic projects in companies and organisations act and think. How can their perspectives and competences affect business development and management? I argue, that artistic interventions and design thinking differ in their very nature. It can be said that the first one rather deals with soft-skills, social innovation and emotions whereas the latter is more goal-oriented. Moreover, artistic interventions are practise-based (hence these can also be design interventions) but design thinking is a methods-oriented approach. Utilizing findings of this research study, I propose a curator role in such business development processes. 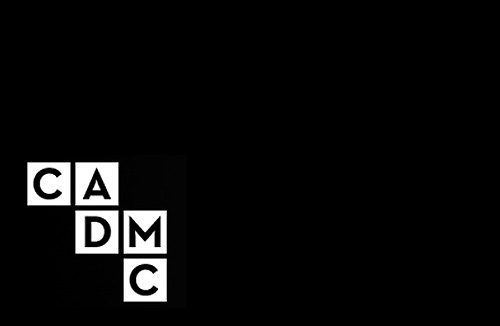 This curator is a type of generalist, speaking the language of both the business and design / art world and having an understanding of when and where it is best to apply an artist’s or designer’s mindset. In other words, a professional that knows and communicates when it is helpful for a company and its employees to «go bananas» (hence, organising artistic interventions) to unleash everyone’s intrinsic creativity and when designer can assist to reveal underlying challenges of a company to see the big picture in order «not to slip on a banana peel» (and therefore utilising design thinking methods as what they are rather than using them as a «fashionable label» only).